- Its Thursday.... ahh getting closer to the weekend. - Can summer end already... yes I said it. - Haven't sewn since McCalls 5606. - But it hasn't stopped me from buying more fabric. - Father's day gifts are still waiting to be sewn. - Will try to cut out one of them tonight. 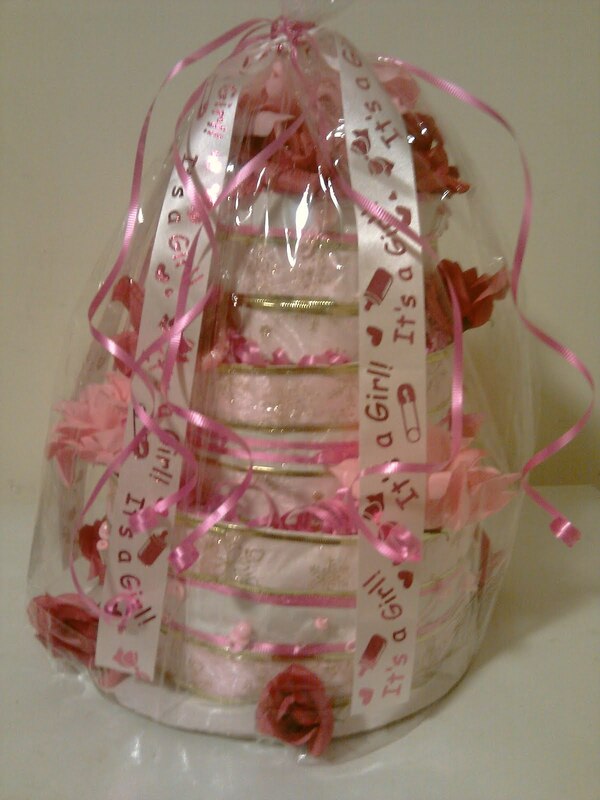 - I made a diaper cake last Friday... totally a hit. - Was asked to make a faux cake for a 2 year old B-day party. - mmmm need to work-up a demo on that. - Will fill the faux cake with essentials... socks, undershirts & undies. - Did finish a Thank you card and etched glassware. - got carried away... also did glass painting. - The summer is draining me... I am longing for fall & winter. - No one will hear me say I wish it was summer... never. - I'm back on the crochet bandwagon... yippeee. - No sewing but I am craving for another B5606 my way. - Fell prey to garment purchasing... bought 4 blazers. - had to... couldn't sew that many fast enough. - Need to start planning for Las Vegas again. When I first saw the words diaper cake, I was VERY confused. Thanks for posting a picture! 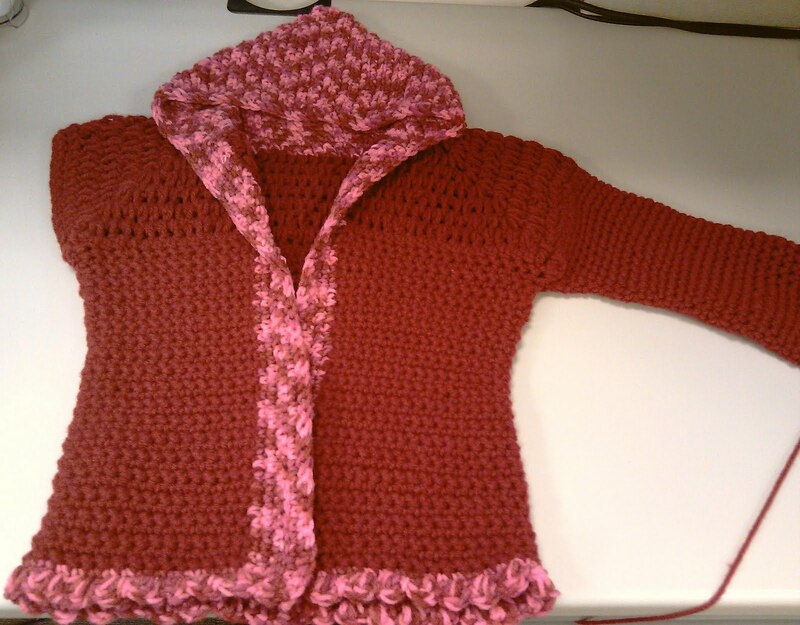 Do you have a crochet pattern for an adult woman's coat or cardigan? You are crochet speed demon! You did a great job on the diaper cake! The cake is beautiful ! The toddler cardigan is adorable. Are you making that from your head or is there a pattern ? Love your creativity. I still have the card you sent me. Reminder: I must post about my gifts next week. The diaper cake looks amazing! Oh, I never thought to do "cake" for anything other than a baby shower. Sounds fantastic! What an adorable cake and sweater!! Can't wait to see your projects for Vegas...I love sewing for vacation!!! 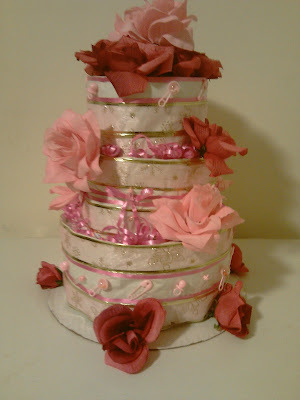 I love to read others random thoughts as well Sheila..And I love the diaper cake, you are extremely talented! That diaper cake is beautiful! You crochet fast and fab. @Serenity- Yes, I have a few patterns I think you would like and sent you an email. 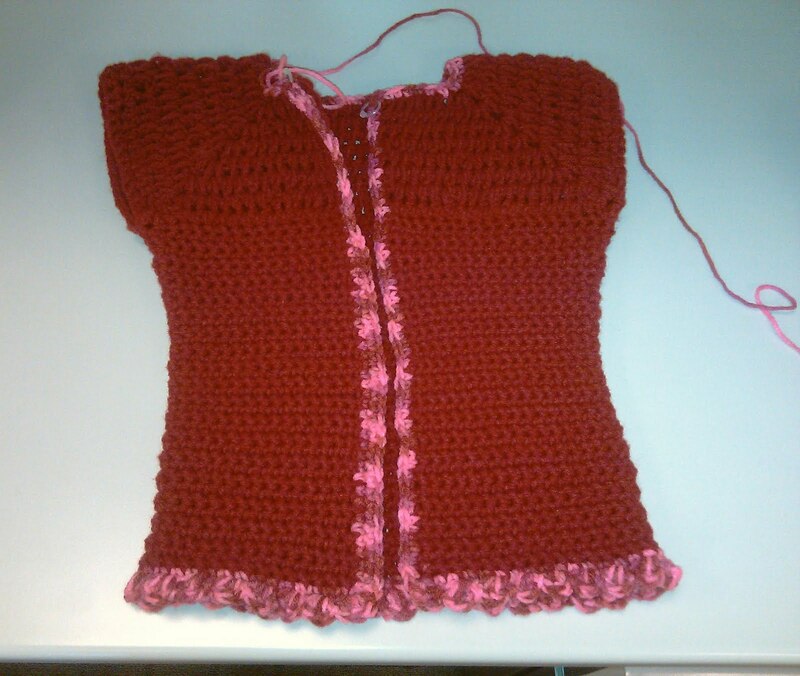 @Carolyn- When I first made the top down cardigan, I followed a pattern. Half a dozen cardigans later I have since modified the toddler cardigan by changing the stitch pattern and the latest one I added a hood to the pattern. @Clio- the possibles are endless... hope to do a tutorial on the girls nite out faux cake. Sometimes you just need to spit out random thoughts. After seeing them in print they sometimes make sense. You are sooo talented. diaper cake and crochet sweater. Those are lucky children. You certainly have a lot on your plate. But you are still able to be creative in other ways. I really like your diaper gift bag and the sweater in the works. Nice. Girl, please be safe, I'm watching the news and it looks like Irene is heading your way, I'll be praying for you and yours. Omg! It's so good to see you crocheting! (Don't tell any of my knitter friends...but crocheting is my first love!) I love the baby sweater. Thanks for checking out my baby booties.